Axiom BENDnFLEX Platinum - Network cable is a powerful data transmission network cable. It is a high performance OM4 Bend insensitive cable which helps to improved performance under tight bend environments. This cable combines OM4 high-performance with bend-insensitive multimode fiber cable. This cable comes with 19.7ft length. Empowering efficient connectivity while extending current IT infrastructure across a variety of technology platforms, the BendnFLEX� product line provides two product categories, BENDnFLEX� Silver and BENDnFLEX� Platinum. Axiom BENDnFLEX� simplifies installation and enables more uptime with less troubleshooting. Due to better cable management for improved airflow and cooling efficiency it is very energy efficient. Also these cables are RoHS compliant. 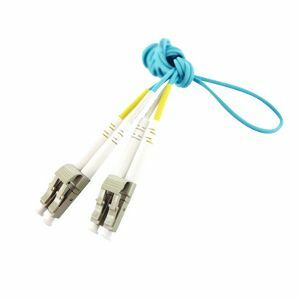 Order Axiom BENDnFLEX Platinum - Network cable!